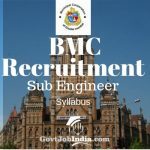 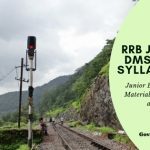 The Railway Recruitment Board has released the official RRB Junior Engineer, JE (IT), Depot Material Superintendent and Chemical & Metallurgical Assistant Exam Syllabus and Exam Pattern Online. 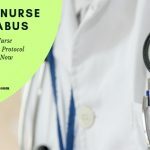 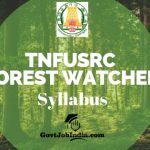 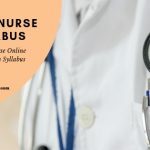 All the candidates who are appearing for the TN MRB Nurse (Sick Newborn Care Unit) Exam are requested to kindly check out the detailed Exam Syllabus and Paper Pattern prescribed by the Tamil Nadu Medical Recruitment Board which we have provided below. 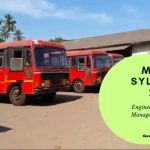 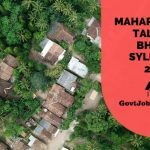 The candidates who are preparing for the Maharashtra Van Vibhag Vanrakshak Exam are kindly requested to go through the Maharashtra Forest Guard Syllabus and Exam Pattern provided below. 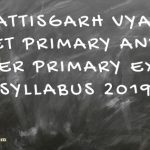 All the applicants who are seeking study material for the CG TET Exam 2019 are notified that the CG TET Syllabus 2019 for both paper 1 and paper 2 have been provided below.